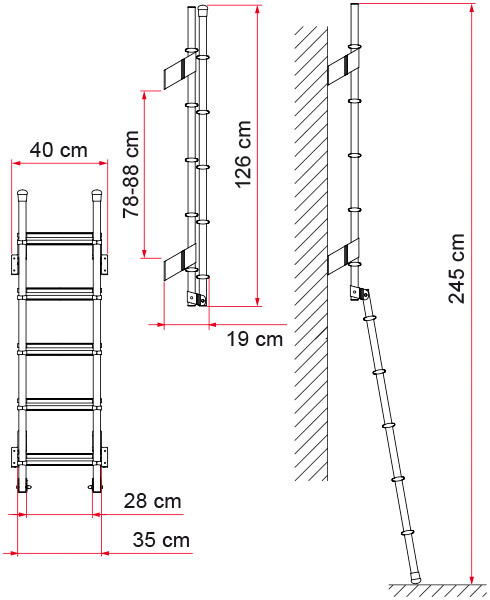 All Fiamma ladders have Ø 30mm and 2mm thick tubes in anodized aluminium. Non-skid steps. Inner width: 28cm. Total step width: 35cm. Inner step width updated in accordance with the European standard UNI EN 131. 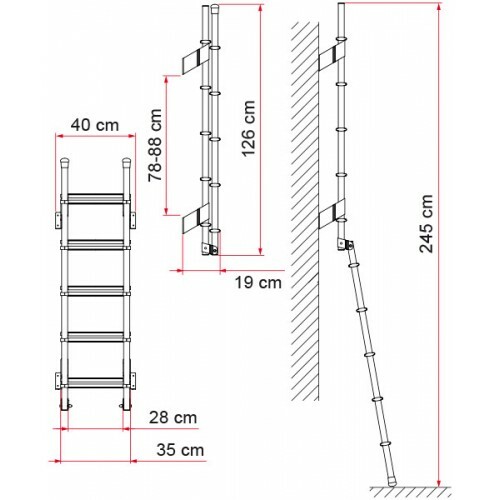 Optional accessory Security Grip, as an additional protection when the ladder is installed on vehicles with double rear doors to avoid the friction with the Carry-Bike. 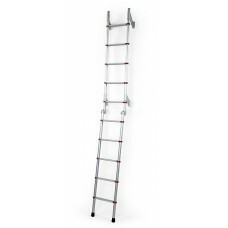 Sturdy anti-theft safety plate (Safe Plate) available as optional accessory for your ladder. 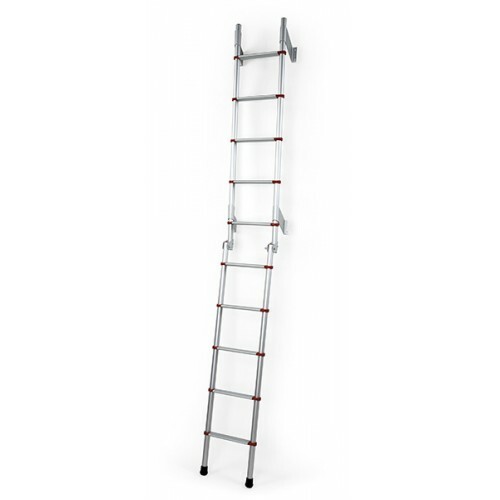 Sturdy and lightweight high quality universal exterior ladder.